Renowned creator Stan Lee, who gave birth to all superheroes, passed away late on Monday night. He was known as the Legend of Marvel Comics. 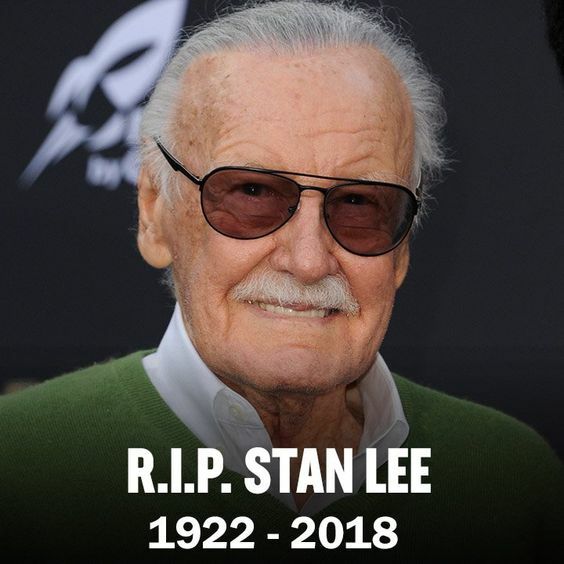 Stan Lee died at a hospital in Los Angeles, USA at the age of 95. It was the brainchild of all super heroes like Spider-Man, Iron Man, Black Panther, Hulk and Avengers Stan Lee. Although it is not clear now that Stan Lee has died due to the reason. Stan Lee's daughter gave news to the death of her father. As news of Stan Lee's death came to light, people paid tribute to him on social media and remembered the great characters he had made. Everybody is remembering the characters made by them in the cinema on social media. Due to the death of Stan Lee on behalf of Marvel Entertainment himself, Twitter Handle was mourned and his excellent contributions were remembered. Stan Lee started Marvel Comics with the Fantastic Four in 1961. In this glorious journey, his colleague Jack Kirby was the one with whom he had created these roles. Jack Kirby died in 1994. Let's tell you that John Cak of Stan Lee's wife died last year.